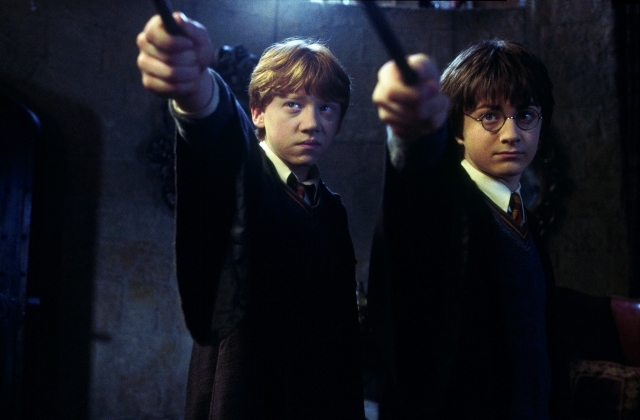 Rupert Grint (left) as Ron Weasley and Daniel Radcliffe as Harry Potter star in 'Harry Potter and the Chamber of Secrets." /Courtesy of Warner Bros.
Harry Potter has a magic that resonates across locations and generations, and this weekend the magic will leap from movie theaters to DeVos Performance Hall in one flick of a wand. 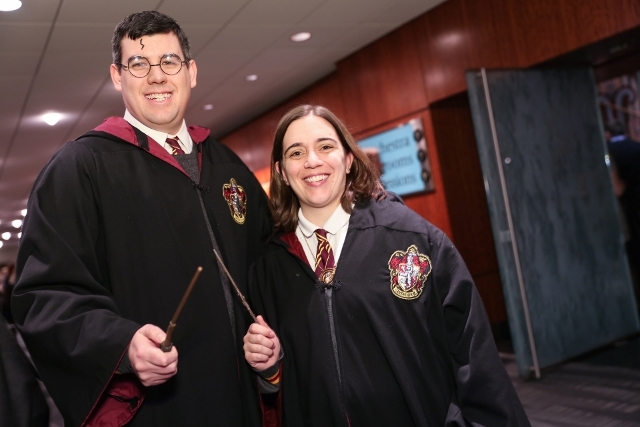 Last season, the Grand Rapids Pops brought the Harry Potter Film Concert series to town, selling out three performances of the first film in the Harry Potter franchise. This weekend, the Grand Rapids Symphony presents the second installment of the films with Harry Potter and the Chamber of Secrets. Three shows on September 29-30 are at 7:30 p.m. Friday and Saturday with a matinee at 2 p.m. on Saturday. Tickets remain available. 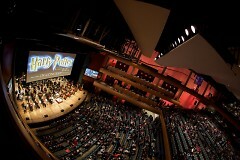 The Harry Potter Film Concert Series, created by CineConcerts in conjunction with Warner Bros. and the Wizarding World of J.K. Rowling, shows the film in high definition on a 40-foot screen suspended above orchestra musicians. But it is the soul of the movie – the music – with John Williams’ unforgettable score, that will be played live and real time by the 90 piece Grand Rapids Symphony. 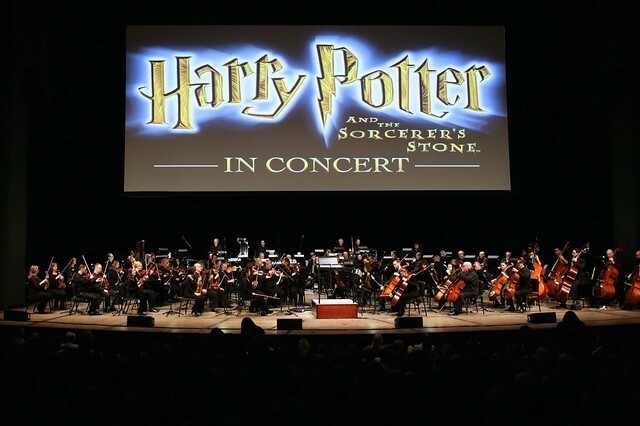 The Grand Rapids Symphony was among the first orchestras in the world to present Harry Potter and the Sorcerer’s Stone after the series debuted in June 2016. It’s the unique quality of live music that makes this event so immersive. Last season’s debut drew more than 7,000 to the Grand Rapids Pops’ performances. This concert will find Harry, Hermione, and Ron in their second year at Hogwarts: cars fly, giant spiders talk, a house elf makes some mischief, and a strange diary lies at the center of the story. A mystery unfolds as Harry and Ron battle to save their friend, while a new Defense Against the Dark Arts teacher, played by the legendary Kenneth Branagh, only complicates the matter. The music, performed live with its soaring heights and twinkling melodies, is sure to help audiences experience the film in an entirely new way. Guest conductor Nicolas Buc, who was in DeVos Performance Hall for the debut of the Harry Potter Film Concert Series last season, returns for the second installment in the series. In true wizard form, the lobby of DeVos Performance Hall will be transformed (one might say, transfigured), and decorated with the trappings of Hogwarts School of Witchcraft and Wizardry. Guests can take a photo with a Sorting Hat or sample Butterbeer, which will be sold in alcoholic and non-alcoholic versions. The first 400 guests can take a trip to Ollivander’s and receive their free wand. (Remember: it’s the wand that chooses the wizard.) Members of the Grand Valley State University Quidditch Team will meet and greet Harry Potter fans, and guests are welcome to dress in House colors or Harry Potter garb, should they be so inclined. Tickets, starting at $18, are available but going fast for three shows. Call (616) 454-9451 or go online to GRSymphony.org. One week from now, Harry Potter and the Chamber of Secrets will be screened in the Sydney Opera House in Sydney, Australia. The following week, the second installment in the Harry Potter Concert Series will be presented in Toronto, San Antonio, Boise, and Jacksonville. And later in October, audiences will enjoy live performances in Innsbruck, Austria; Barcelona, Spain; and in Moscow and St. Petersburg, Russia. Just Freer has said that all eight Harry Potter films will eventually be presented with live musical performances. Meanwhile, fans of Harry Potter and the Grand Rapids Symphony said last January that they couldn’t wait for the next installment.